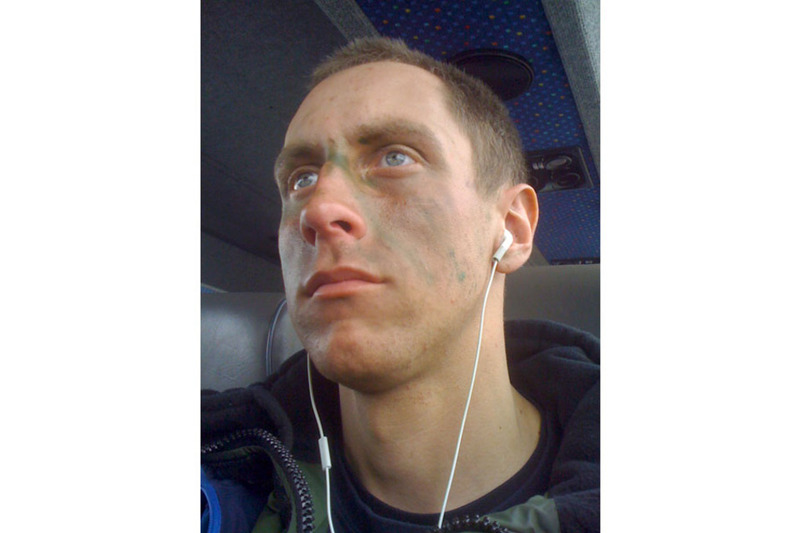 It is with great sadness that the Ministry of Defence must confirm that Private Richard Hunt from 2nd Battalion The Royal Welsh died at the Royal Centre for Defence Medicine in Selly Oak on Saturday 15 August 2009 from wounds sustained in Helmand province two days previously. Private Hunt was wounded as a result of an explosion while on a vehicle patrol near Musa Qaleh in Helmand province on the morning of 13 August 2009. Private Richard Hunt, aged 21, was part of a vehicle patrol from A Company, 2nd Battalion The Royal Welsh (2 R WELSH), who are working to extend and enforce the writ of the Government of Afghanistan. Private Richard Hunt, ‘Hunty’, was originally born in Haverford West, but then moved to Abergavenny, which he considered to be his hometown, and lived there until joining the Army in October 2007. He attended King Henry VIII Comprehensive School and Usk College before starting his training at the Infantry Training Centre at Catterick, where he was awarded the Physical Training Prize. He was immensely proud to be both an infanteer and a member of the Royal Welsh. After completing his training, Private Hunt was posted to 2 Platoon in A Company, 2 R WELSH, in April 2008 where he immediately became part of the team. His enthusiasm for soldiering was clear from the outset and he was quickly identified by his platoon staff as a bright, enthusiastic soldier capable of achieving a great deal. After acquitting himself well during a rigorous but rewarding period of public order training with A Company, Private Hunt specialised as a Warrior Armoured Infantry Fighting Vehicle driver, and it was in this role that he exercised extensively in preparation for his challenging deployment on Op HERRICK. Whilst a confident and skilled Warrior driver, Private Hunt was also fast developing into an excellent sniper and he showed clear leadership potential. When A Company’s deployment to Helmand province was announced, Private Hunt was amongst the most enthusiastic of the company’s soldiers. He prepared himself as well as possible and commendably took all he could from the training opportunities offered, actively seeking knowledge and drawing wisdom from more experienced members of the company. Richard showed us all his strength of character in many ways, proving to be thoughtful, vain and yet selfless to the end. He proved to us to be a loving son, brother and uncle at all times. He chose his battles with great thought. His bravado, ironically, masked his natural shyness. In our hearts he will be eternally missed and never replaced. We’d like to thank all those for their very kind thoughts and prayers from strangers, friends and family at this difficult time. His may have been the two hundredth death, whilst we have lost our son and brother, our thoughts are also with other injured and bereaved Service personnel and their families, at what we know to be one of the most difficult times a family can face. The tragic loss of Private Richard Hunt will be hard felt by the battalion and all those that knew him. Although quiet by nature, he clearly had a passion for soldiering, a true ‘Welsh Warrior’. He was enthusiastic and dedicated in all that he pursued and coupled with his natural ability, particularly his robust physical strength, a bright future lay ahead. Richard was a sincere and selfless soldier, always eager to help his friends and never to let down the team. He worked tirelessly without fuss and was relied upon by many of those around him. He was an excellent soldier and a friend to so many, he will be sadly missed. At this tragic time our thoughts and prayers are uppermost with his close family and friends. Private Richard Hunt had only just arrived in the Battle Group when he was tragically fatally injured by an IED [improvised explosive device]. He was clearly a proud Welshman and a capable infantryman with bags of potential. Everyone in Musa Qaleh sends their heartfelt condolences to his family at this very difficult time. Richard was a fine soldier; fit, professional and extremely brave. He had huge potential and was at the peak of his game, having just completed an arduous and demanding sniper course. It was typical of him to volunteer to drive a Warrior when the need arose. Despite the danger he threw himself at the task with the boundless enthusiasm and selfless commitment which was his hallmark - he set an example for us all. We have lost a man of great courage and skill, and it has wounded us deeply. Our thoughts and prayers are with his family. Hunty was a popular and influential member of a very close-knit platoon; his desperately sad loss will leave a void that for his peers and friends - one and the same - cannot be filled. Though not the most outgoing of the platoon’s private soldiers, Hunty was dependable, loyal and wise beyond his years. He was one of those lucky few people whose natural talent and intelligence was improved upon by diligence, and an impressive work ethic. He took pride in everything he did, and because of that did everything well; whether mountain biking, climbing or infanteering, he was invariably the ‘achiever’ that many of us are quietly, but acutely, jealous of. He died too early in his tour of Afghanistan to enjoy the adventure he craved, and far too early in life to fulfil the potential he clearly possessed by the sack-load. Hunty will never be forgotten by his mates in 2 Platoon, though our pain cannot contend with what his parents and family are experiencing at this terrible time. Our thoughts, and prayers, are with them. At the time of this tragic event, Hunty had spent five days attached to my platoon. Although he missed his beloved 2 Platoon, he conducted his duties with a cheerful demeanour that lifted the spirits of those around him. We had travelled together for some four days in arduous conditions, and in that time he displayed a resilience and professionalism that was not just inspiring, but humbling. He joked with me about the arduous nature of our journey, and I was grateful for a cheerful soul to listen to my own complaints. Above all, it was clear Hunty was enjoying himself immensely. He will never be forgotten, and our thoughts are with his family during this tragic time. Private Hunt was a great soldier and a complete professional. He was really keen to get to Afghanistan and get stuck in. His loss is a tragedy and the platoon will not be the same without him. He was a true ‘Welsh Warrior’. Our thoughts are with his family. Hunty was a very keen soldier who revelled in his role as a ‘sniper’. He always took pride in what he did. Sometimes quiet, he would come out of his shell when he had a few Jack Daniels and would soon have us all laughing. He was a great guy and a true ‘Welsh Warrior’. My thoughts go out to his family and friends. ‘Gone but never forgotten’. Hunt was an amazing soldier and an amazing friend. He was always having a laugh and a joke. When he passed the sniper course he said he wanted to be the first one to fire the sniper rifle out here and live out his dream. I will carry on his dream for him. I will never forget you my friend. All my thoughts go to family and friends. ‘We will remember them’. Richard Hunt and myself turned up to Tidworth on the same day, had a room opposite each other and over the past year-and-a-half got on amazingly well - I will miss him so much. My heart goes out to all his family and loved ones and I speak not just for myself but the entire company when I say he will be remembered as a great soldier and a better friend to us all. I know you will keep us safe mate, just remember to look down on us all - I promise to do my best. Love you Rich… Frowen. My thoughts and prayers go out to Rich’s family at this time. Rich was in my platoon and I got to know him from the first day he came. He was a great guy and always had a laugh and joke with the rest of the boys and would often join us for a drink with his favourite Jack Daniels whiskey. Rich is going to be greatly missed by everyone in the platoon and I feel privileged to have known him. Rich loved doing what he did and never disappointed, he will always be remembered as a superb, enthusiastic soldier and above all an awesome friend. Rich will always be remembered by everyone, a true ‘Welsh Warrior’ forever. First of all I would like to thank Rich’s family for giving me, the platoon and the entire company the pleasure of having met such an unforgettable man. Rich was a cracking bloke who was always up for a bit of banter; he would quickly become the life in the group and often the party, he would love a bit of JD [Jack Daniels]. I have never seen someone so keen and determined to become a sniper - you could tell just by the way he spoke of snipers how focused he was on becoming one. In my eyes and everyone else’s you are ‘The Sniper’. Rich will never be forgotten by his family in the Army, A Company, 2nd Battalion The Royal Welsh. We have had the honour of calling Rich Hunt one of our own. Hunty mate, you are a ‘Welsh Warrior’. You and your family will forever be in our hearts. Coming out to Afghanistan I really got to know Rich well, we both had a good laugh together and shared the same sense of humour. He would always come out with one liners to get everyone laughing, and to lift everyone’s morale. I can remember when we were all talking about safety catches on the weapon, and he came out with ‘I don’t need a safety catch, this is my safety catch’ whilst holding out his finger; it was the cheesiest line anyone could come out with and everyone burst out laughing, but we all knew he would say stuff like that just to get a laugh. I hope Rich’s family can take pride in him for being such a great soldier, and such a well-liked bloke. His death has shocked everyone as we were all hoping and praying for him to pull through, but I know that Rich will never be forgotten and will always be in our hearts. Private Richard Hunt’s death is a tragedy for his family, friends and all those with whom he served. When I read the tributes made to him it is clear that he was an immensely talented soldier who took enormous pride in his physical fitness and soldiering. His loss will be keenly felt and my thoughts are with all who knew him.